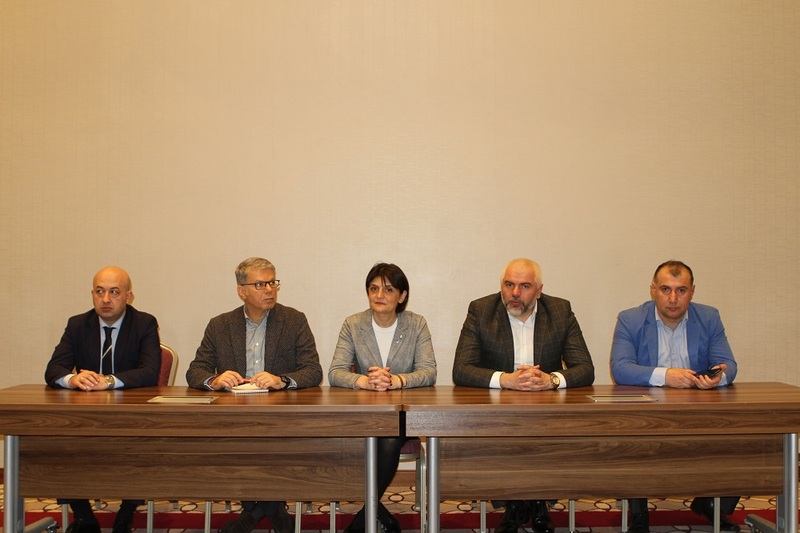 On January 31, the first meeting of the Minister of Education, Science, Culture and Sport of Georgia Mikheil Giorgadze was held to discuss the organizational issues of the Batumi European Weightlifting Championship. The meeting was attended by the Deputy Minister of Finance of Georgia, Kakhi Kakhiashvili, Vice President Nodar Sirbilashvili, head coach of the national team Giorgi Asanidze and sportsmen - Olympic, World and European Champion Lasha Talakhadze, as well as the Olympic Games prize winner Irakli Turmanidze. According to preliminary data, up to 400 sportsmen will participate in the European Championship, and up to 800 guests of and 50 sports delegates will visit Batumi during the championship. In February, Batumi is scheduled to hold a regular visit of Secretary General of the European Weightlifting Federation Khasan Akush and Technical Director David Goldström, where foreign guests will sum up the preparation of the championship together with representatives of the Adjara government. Direct broadcasting of the 2019 European Championship will be broadcasted on the sports TV channel "EuroSport" and in total, the champion will have 60 million spectators in 40 hours live broadcast mode. The European Championship will be held in Batumi in a new, multifunctional sports palace, which was built for the World Chess Olympiad. Georgia will host European championship for the second time, in 2015 the European Championship was held in Tbilisi Sports Palace.